Edgewater stands to lose two more buildings, 6330 Winthrop and 6312 Winthrop (Avenue). 6312 is one of the few remaining single family homes from the original Cochran additions. 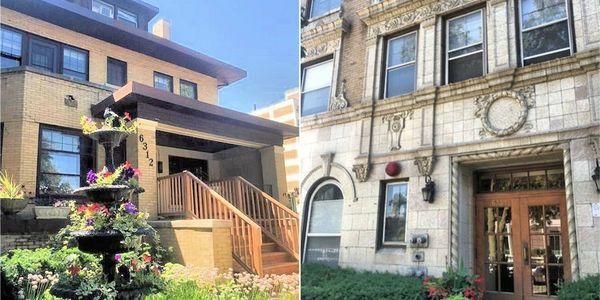 Loyola plans to tear down these properties for sophmore housing, a new rule for Loyola students that they must live on campus, 9 months out of the year. Practical alternatives have been proposed to Loyola to preserve the buildings, preserve the affordable housing of 6330 Winthop and to utilize the 4.8 vacant lots for their proposed sophomore dormitory. We the undersigned call upon Loyola University to preserve the buildings at 6330 Winthrop and 6312 Winthrop in the Edgewater neighborhood. We encourage them to use the 120 foot lot between them for a sophomore dorm. We advise Loyola that the demolition of the two solid structures is both wasteful and will create an environmental hazard for our community. Other alternatives must be available. Developers: Friends or Foes of Preservation? Saturday, March 16th, 2019, 10 a.m. The presentation and discussion is with Bonnie McDonald Edgewater resident and President of Landmarks Illinois. We've added more language in the petition. Thank you for your support.